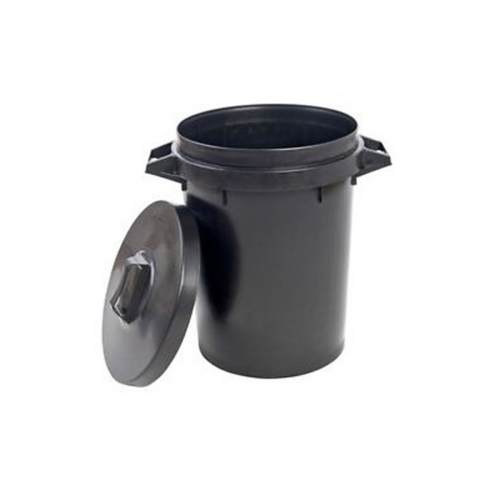 The Stadium Heavy Duty Dustbin has a 90 Litre (19.8 gallons) with reinforced handles. uses including gardening, Tough, sturdy yet flexible, light-weight and good value for money. With its 90 litre capacity this is a generously sized bin and may be used for storing dog food, saw dust, animal refuse and other work waste. Made from High Density Flexible Plastic which is very easy to clean and is UV Protected (Prevents Rotting in Sunlight). Shatter-proof, Durable, Versatile, Lightweight, Hard Wearing, Tough and Sturdy yet Flexible. Very Easy to Clean. Comes complete with reinforced molded handles for versatility and to allow easy lifting and transport and complies with relevant British Standards BS4998. Manufactured in the UK.